There's a reason Brother named its fax machine product line as "IntelliFax." Presumably, Brother's fax machines offer more than just simple faxing capabilities and provide an "intelligent" device to assist one's need. The Brother Intellifax 2820 manages to live up to the billing, while providing more in terms of features and affordability. The Intellifax 2820 offers a number of features seldomly found in inexpensive fax machines, or even better, in laser fax machine types. For starters, the Intellifax 2820 is compact at 14.7" x 14.7" x 10.3" (width, depth and height) and weighs only 16.2 lbs. It possesses a 14.4K bps speed for its modem, capable enough to send fax at 6 seconds per page. Its 8MB memory can be described as deceptive, as the Intellifax 2820 can store up to 500 fax pages, ideal for offices with multiple faxing needs, or if one would need to store fax pages temporarily if the fax machine runs out of ink. With only a single line for fax and voice calls, the Intellifax 2820 helps in keeping a neat and organized office or home set up, so users wouldn't need to worry about entangling the phone and fax lines whenever work is at a hectic pace. 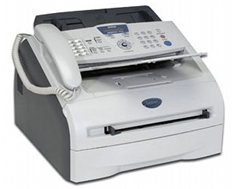 For its fax features, the Intellifax 2820 can automatically dial more than 200 numbers and broadcast to as many as 270 recipients. The Intellifax 2820 also doubles a printer, which is certainly ideal for users with minimal to average printing needs. It produces monochrome prints at a decent rate of 15 pages per minute, even better than other laser printers in the market today. It supports a 250 sheet capacity, a certainly nice feature for a relatively small machine. The Intellifax 2820 also has a 20-page document feeder that runs automatically and a built-in USB interface for ease of connection when printing. For its resolution, the Intellifax 2820 has a 1200 x 600 maximum dpi for monochrome prints, while its fax resolution is at 203 x 392 lines/inch and copy resolution up to 200 x 300 dpi. 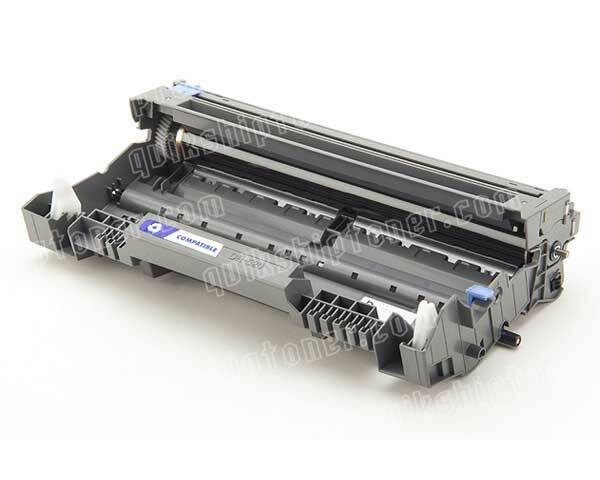 One of the gripes against the Intellifax 2820 is that upon purchase, the toner cartridge included is only that of a "starter" one, which only provides a maximum of 1,500 pages. Also, no driver support is included upon purchase to set up the machine. One would need to visit Brother's website to acquire the needed drivers to get the Intellifax 2820 going. 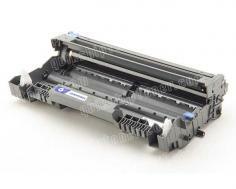 While being viewed as an improvement to a previous model, the Intellifax 2800, which is known for its jamming problem, the 2820 still has its share of paper jams, especially in high humidity. Its speed, though reliable at its current rate, still fares slower compared to other models and fax machine brands. Another is that the Intellifax 2820 does not bear the Energy Star Qualified mark, which guarantees electronic devices are efficient in power consumption. With a 1032 Watt power consumption at its peak, the Intellifax 2820 is a power hungry fax-copier machine. 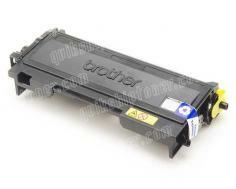 Review it: "Brother intelliFAX 2820 "
The starter unit of the Intellifax 2820 can be replaced with a standard yield toner cartridge of 2,500 pages at a relatively low cost, and the drum unit needs replacing after it consumes its 12,000-page yield. 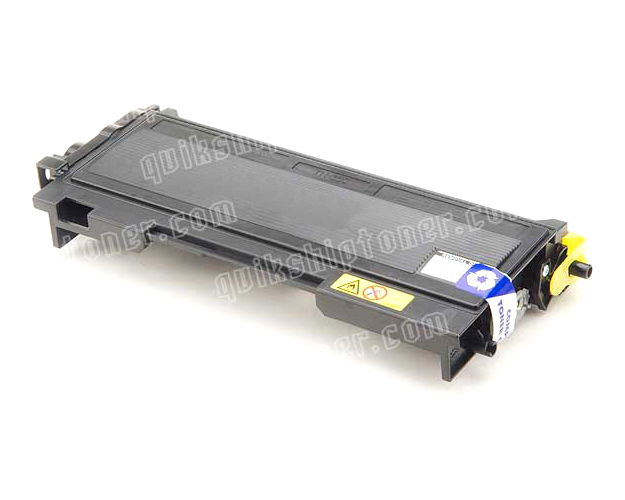 Replacements for toner cartridge and drum unit can cost around $60 and $100, respectively. The Intellifax 2820 also has a 10,000 printed pages for its maximum monthly duty cycle, with a recommended 250 to 2,000 pages per month.